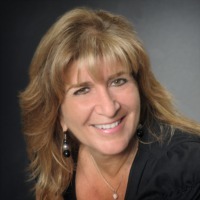 Lorraine has been with Champagne and Parisi Real Estate for the past two years. She was on the Board of Directors at The Moorings of Lantana for nine years and made a significant difference in the community. Worked for Related Cervera Realty Services starting in 2002 till 2010 and was initially drawn to the opportunity of selling condos on the Intracoastal at The Moorings at Lantana project. She specializes in condominiums on the Intracoastal from West Palm Beach to Boca Raton. She was promoted to Palm Beach Sales Manager to manage and operated three offices in Lantana, West Palm Beach, and Boynton Beach. Lorraine has been involved in real estate sales for over 20 years. She has won numerous awards including Top Regional Salesperson for selling 16 million in townhomes. Having primarily worked for builders selling single family homes, townhomes and condominiums. Her expert knowledge of the market has made her the Realtor of choice for various professional baseball and football players. In the past ten years, she has sold over 25 million in properties. She is noted to go “above and beyond” with customer service.